I bought a white peach yesterday at a roadside market. Unlike the ones I get at the supermarket, this one smelled like a peach. It tasted like a peach. It was luscious. The corn I bought came from a farm just down the road from where I was standing. I got some kale and string beans. I rode home in my little Mustang with the top down. The weather was perfect – warm, sunny, no humidity to speak of. I turned into my little lane. The river was sparkling and blue. I had noticed that a gray car seemed to be following me. Sure enough, it turned into my lane, right behind me. 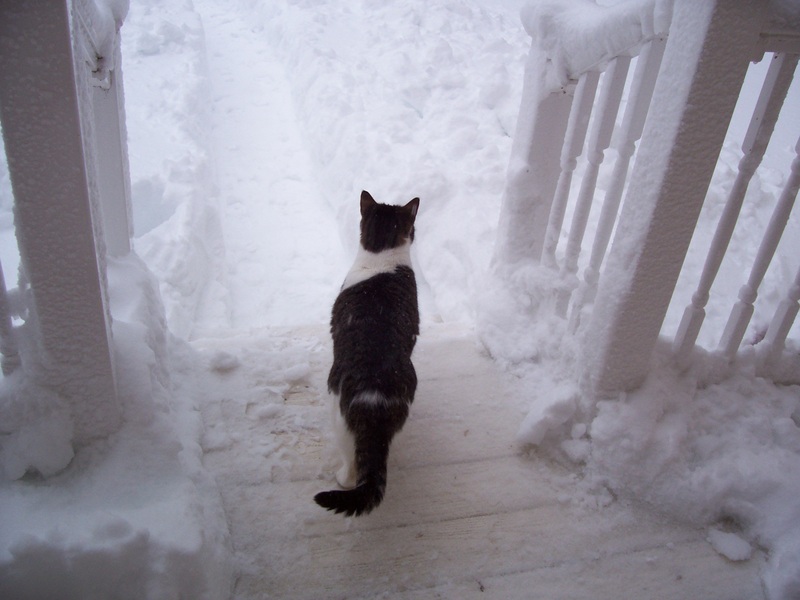 I pulled into my driveway and got out, a little curious, a little apprehensive. An elderly man climbed slowly out of the car and said, “Miss, you have two tail lights out. I thought you’d rather hear it from me than from a policeman.” I thanked him and stood there as he backed out, thoroughly amazed at the kindness of a stranger. It was that kind of day. Today was pretty much the same. I noticed that the pounding in my ear has gotten a little gentler, so maybe the nasal spray is working. I got an appointment with the master acupuncturist for next week. I’m going to put my ear in his hands, so to speak, for the final resolution. I found the right bulbs for my taillights on the first try and some great guys who put them in – knowledgeable, confident, friendly guys right here in my own little town who told me they could fix another problem (I’ve had it for some time) for much less than the dealer’s quote. Again, it was warm, sunny, and gorgeous. And again, I drove home with the top down. For some strange reason, I took a nap. And now, as I am writing this, I can see the full moon through my window. It’s a beautiful, cool night. Dorian is out, playing with crickets in the moonlight. This weekend, the moon is the first of this year’s supermoons. A supermoon is a full moon near perigee, or near its closest point to Earth for the month. It’s dazzling. There are times when everything just falls into place, when the trials and tribulations of life seem lost in the past, as they should be. I know that things are still happening out there in the world. I know that I don’t know what tomorrow will bring. But for the past few days, it seems to me that the Universe has been saying, Stop. Take a deep breath. Look around. It’s a wonderful world. And there are times when I have the good sense to stop, take a deep breath, and say Thank You. Good night, dear friends. Pleasant dreams. I started this blog because I wrote a book and I wanted my friends to know about it. 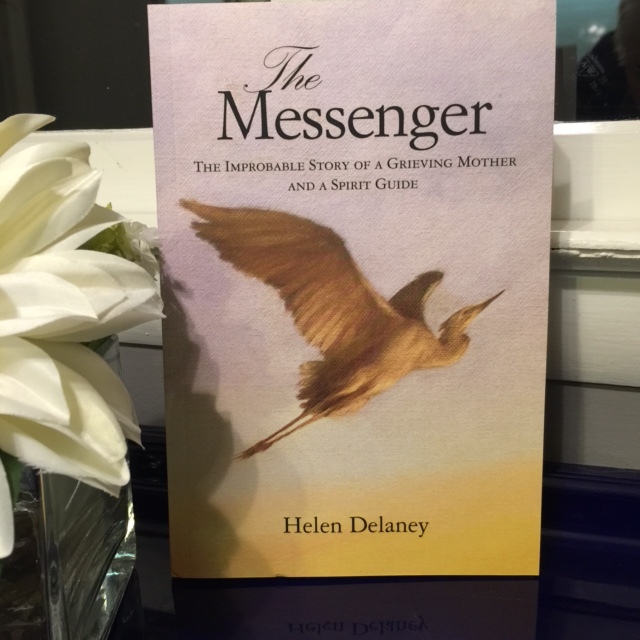 The Messenger is the account of a spiritual journey that started with my son’s death. I still refer to it here, but my Sunday messages have become more about what I’m learning while trying to live each day in harmony with spiritual principles. I never lack for material. My son had a sensei who taught him the martial art of Aikido. He once told me this: “Just when I’m sure Eddie has mastered a move, I knock him down again.” I think this is exactly what the Universe does. Just when you think you’ve mastered something, BAM. You’re down. At least, that’s how it works for me. This is not cruel. It is to bring you to higher levels. For example: About four days ago, I started hearing my heart beat through my right ear. Believe me, this is disconcerting and frightening. And so, I did what people do nowadays. I went onto the Internet, looking for anything that would tell me I wasn’t crazy. As it turns out, this condition is not uncommon and actually has a name: pulsatile tinnitus. It may have an underlying cause, such as plaque in the carotid artery. On top of that, I was having pain and stiffness in my neck and headaches, something very rare for me. I did the next logical thing. I tried to make an appointment with my GP – who is unavailable until the end of September. The next thing I did was to make an appointment with an ENT physician. He’ll see me next week. You have to start somewhere. He will probably refer me to a cardiologist. What I didn’t mention was that right before my heart starting coming through my ear, I’d had an unpleasant encounter (on paper, thank goodness) with a difficult person who made an offer on my house, then demanded so much, I couldn’t accept it. This was a guy with a lot of money – it wasn’t about that. It was about dominance. He just wanted a place to sleep on weekends while he kayaked in the river. He also intended to sell it down the road for a profit. Unlike him, my house, which is just a cottage (albeit a pretty one), is all I have. It’s my one big asset – my old age savings account. And as all readers of my blog know, I am selling it to move to Sedona, the place I feel I belong, to live a simple life. This is my third deal gone wrong. I’ve been living in a fish bowl for two years, swimming upstream against a depressed market and encountering a community of buyers who are the most demanding that have ever lived in history. My friends who have houses for sale will bear me out. The point of all this is – I thought I was handling things pretty well – even this last disappointment – until the ear thing. I was wrong. Stress had finally caught up with me. Spiritual me. Again, I did the next logical thing. 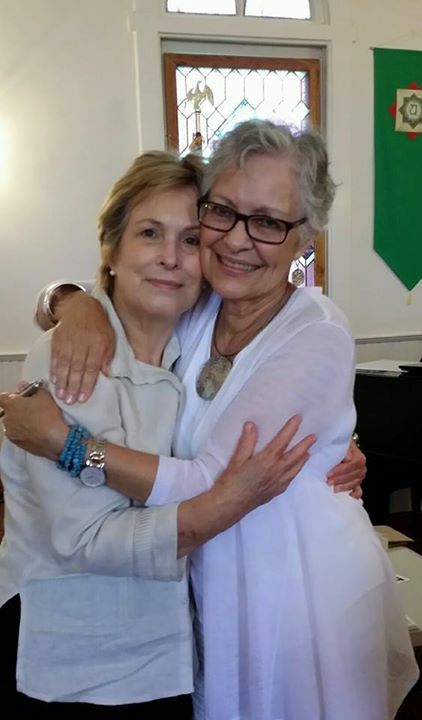 I went to see a beautiful lady who teaches yoga and is a gifted neuromuscular therapist. She can find things in your muscles you never knew you had. At least she could deal with the neck and headaches. She is also a very spiritual person. We speak the same language. She worked on me for two and a half hours, finding pain I never knew I had. But what she told me was that I still have stress in my neck and in my spine that is very old. Eventually, I’ll see a chiropractor she’s recommended. But the question is, how old can stress be and stay embedded in your body? Apparently, very old. There is something I haven’t dealt with. I live what I think is a pretty healthy lifestyle. I don’t eat meat. I don’t drink or smoke. I avoid sugar and flour. I’m active. I meditate regularly. I’m generally a happy, healthy person. So what is this all about? I’m reading a book written by another spiritual person, an acupuncturist, a former Buddhist monk. He says symptoms are messages. I get it. I’m getting messages from my body that I’ve just got to let up. I’ve got to Let Go and Let God. I’ve got to stop trying to control things – like the future. It’s not that I don’t believe in letting go. I do. I’ve spent over thirty years of my life letting go. But the Universe never lets me stop learning. It is sending me a message – that I must trust the Great Spirit that looks after me and stop trying to make things happen. AGAIN. The spiritual path is work. Constant work. Constant learning. And so, while the doctors and therapists are doing their work, I have to go back to Square One and stop creating stress. I have to find out what old karma is lurking in my spine. In November, I will go out to Sedona for some work on my spirit with some very wise people. I’ve been knocked down. But I’m struggling to my feet. Evidently, there is another move to master.